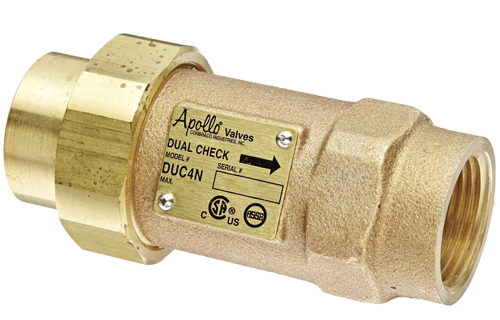 ASSE 1024 – Dual Check (DuC) | Backflow Solutions, Inc. The DuC consists of two durable, internal spring-loaded checks but it does not have the atmospheric vent like the DuCV. Usually, DuC are installed on small fire lines or at residential meters to prevent backsiphonage from occurring.